To introduce PhotoPulse, we are offering a $34.95 SPECIAL LIMITED TIME OFFER for this version! Click here to order now! 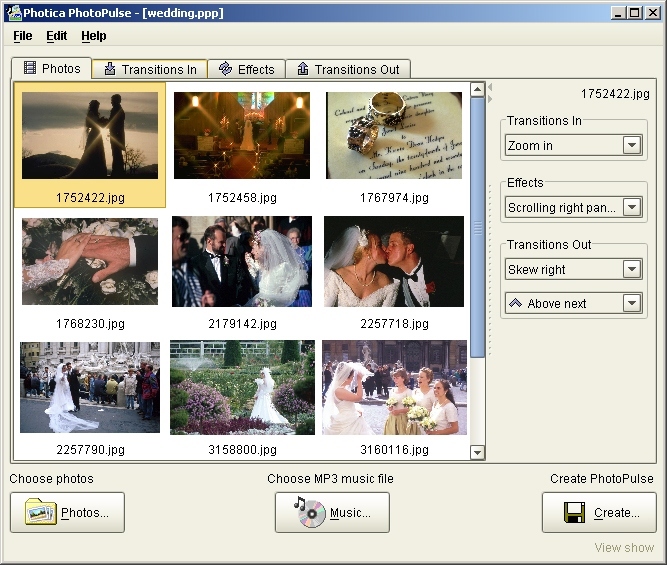 PhotoPulse (tm) software is a new fun and convenient way to share your digital photos. In just a few minutes you can take your favorite photos and MP3 audio track and convert them into a slide show that looks like it was professionally produced. The slideshow created is compatible with the Macromedia Flash (tm) player making this photo viewer software Internet friendly.